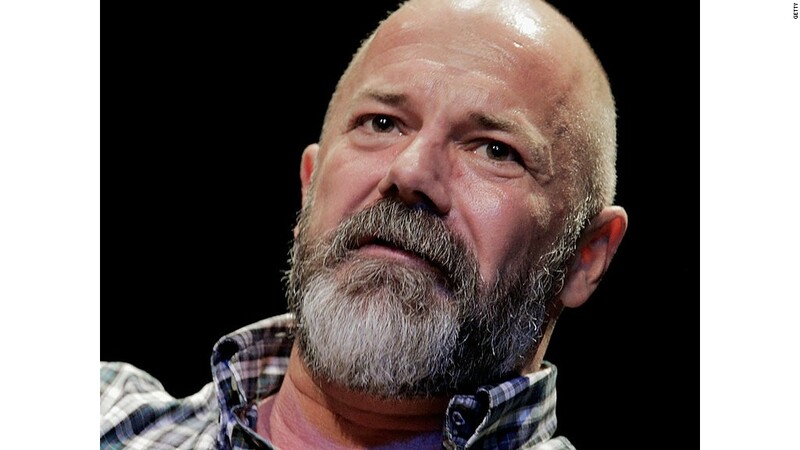 Andrew Sullivan: Trump "unstable, incapable of accepting reality"
Andrew Sullivan says it's time for journalists to talk publicly about President Trump's "mental stability." "To have such an unstable figure, incapable of accepting reality, at the center of the world, is an extremely dangerous thing," Sullivan said in an interview for Sunday's "Reliable Sources" on CNN. Sullivan's view is that the president is exhibiting "bonkers" behavior -- and that if they tip toe around it, journalists are doing the public a disservice. Sullivan, a pioneering blogger who is now a contributing editor to New York magazine, recently started what he's calling a "weekly diary." His first entry addressed what he called "the obvious question of the president's mental and psychological health." "I know we're not supposed to bring this up — but it is staring us brutally in the face," Sullivan wrote. Chris Ruddy, a friend of Trump and the CEO of Newsmax Media, called Sullivan's assessment "over the top." "Are you guys really connected to reality?" Ruddy asked CNN's Brian Stelter on "Reliable Sources." "To believe, as Andrew claimed, that because he got the murder statistic rate wrong, that therefore he's a pathological liar, and therefore he's mentally unstable, I really think that's over the top," Ruddy said in appearance just after Sullivan's. Ruddy cited Trump's history in real estate, reality television and his successful presidential campaign as signs of mental acumen. "If he's crazy, he's crazy like a fox," Ruddy said. "So I would not underestimate his abilities." In the CNN interview, Sullivan elaborated by saying that there's a disconnect between on-air and off-air conversations. "Certainly, if you are not on camera or not writing, people are talking about this all the time," Sullivan said. He defended his scrutiny of Trump's mental health by saying he is not a shrink, "but I am a human being and I can tell if someone is saying things that we know not to be true and never corrects it." He cited the president's false depiction of the U.S. murder rate and bogus claims about widespread voter fraud. He said it pained him to raise these questions. "God knows, I wish I weren't here having to say this," Sullivan said. "No one wants to be here saying this. I don't want to believe the president of the United States is just delusional or cannot accept reality. Of course not. It pains me. It gives me great pain and concern and distress. But at some point, being a writer or a journalist requires one to simply say what one is seeing in front of one's eyes. And sometimes you have to say that in plain English." A search of TV news closed captioning transcripts shows that the subject very rarely comes up on newscasts and talk shows. But several Democratic legislators and a number of liberal commentators have similarly questioned the president's mental health. Rep. Ruben Gallego called Trump "mentally unstable" in a radio interview last month. Rep. Ted Lieu tweeted earlier this month, "Should he get mental health exam?" Over the weekend on HBO's "Real Time with Bill Maher," Senator Al Franken said some of his Republican counterparts privately "say that he is not right mentally. And then some are harsher." Pressed for details on CNN's "State of the Union" on Sunday, Franken said "a few" Republicans had expressed that concern to him. Sullivan's overarching point, in the "Reliable Sources" interview, was that democratic debates require a common set of facts. "When the central figure in our political system is creating an entire world of unreality, how are we supposed to respond?" he asked. "And I think we have to respond. We have to respond by saying 'Excuse me, Mr. President, with all due respect, you keep telling us things that are not true. Can you please stop this?' And if you can't stop it, if you simply keep asserting the world is one way when it really isn't, because everybody else can see it, then we have a serious problem at the very heart of our government." Writers and reporters, he added, need to "say and call it as we see it."